Providing the quality patios Melbourne homes need to take full advantage of traditional Australian outdoor living, Undercover Concepts is committed to unbeatable installations and customer service. Our cheap Melbourne patios are ideal for entertaining, and are structurally sound as well as beautifully varnished. At Undercover Concepts, we also provide a range of services to increase the usability of your outdoor patio space. With staff trained in providing quality concreting work, electrical work and lighting services, we’re truly committed to extending the comforts of indoor living outside. During the warmer months, outdoor entertaining is a popular way to enjoy the temperate night air, and with quality lighting installations, we make sure your outdoor patio area is an enjoyable open space long after the sun sets. At Undercover Concepts, we service a wide catchment of suburbs. We are the experts in patio installations across Balwyn, Brighton and everywhere in between. We have the expertise, resources and passion to help you with your outdoor living needs, wherever you are. 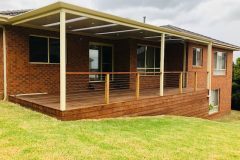 No matter whether you need a Colorbond patio in Melbourne or are open to other options, we’ve got the full range at Undercover Concepts. 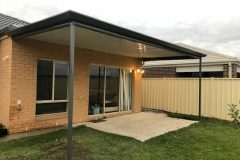 Part of providing the outdoor living patios Melbourne home-owners love is about also offering them premium sunroof installation. 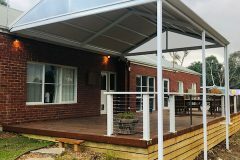 Balwyn, Brighton, Templestowe and many surrounding suburbs regularly call on Undercover Concepts for their unbeatable outdoor shade solutions. 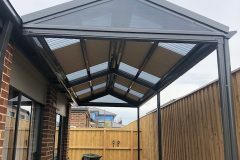 An outdoor patio sunroof involves installing motorised or electronically controlled louvres that can be opened or closed, much like window shutters. This gives you complete control over how you use your outdoor area – if the weather is temperate and comfortable, you can keep your louvres wide open and let the sun shine in. If the sun is too harsh, or rain starts to set in, you can quickly and easily close your patio sunroof to protect your outdoor space. 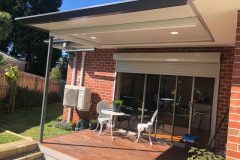 Ideal for protecting your skin from harsh UV rays, as well as your outdoor furniture from excess water or weather damage, Undercover Concepts offers unbeatable sunroof installation to Brighton, Templestowe and Balwyn, as well as the wider Melbourne area. 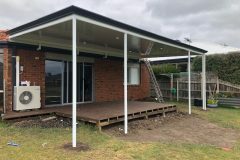 So call us on 1300 270 740 to talk through how Undercover Concepts can help build the perfect patio and complete top-quality sunroof installation in Balwyn, Brighton or Templestowe and beyond for you. Alternatively, you can enter your key contact information into our quick and easy online Measure, Quote & Consultation form to get your free, no-obligation measure and quote. One of our passionate specialists will come to your home and help you decide the best way to extend your outdoor living. Undercover Concepts – providing the patios Melbourne home-owners love. Our massive range of quality Melbourne patios makes us the city’s best patio builders. Melbourne residents can enjoy the great outdoors in the comfort of their patio. If you can’t find your dream patio from what we have in stock, we can custom-build a patio according to your personal taste and the measurements of your space. When it comes to getting a gorgeous patio for your home, turn to the best patio builders in Melbourne, Undercover Concepts. In any kind of outdoor building, it’s vital to choose materials that can withstand the elements. Our steel patios in Melbourne are highly durable and can withstand everything that Melbourne’s weather throws at it. When creating your dream outdoor space, it is certainly worth investing in tough steel patios. Melbourne residents trust us for all their outdoor living needs. The material most loved by industry professionals for outdoor building is Colorbond steel. Undercover Concepts stock a massive range of Colorbond patios in our Melbourne stores, as the best materials possible are needed to handle Melbourne’s unpredictable weather. With our huge range of Colorbond patios in Melbourne, our customers can enjoy their backyard despite the elements.